A horse and cart makes its way up the cobblestone road of the Royal Mile, Edinburgh. There is street lighting on either side of the road. 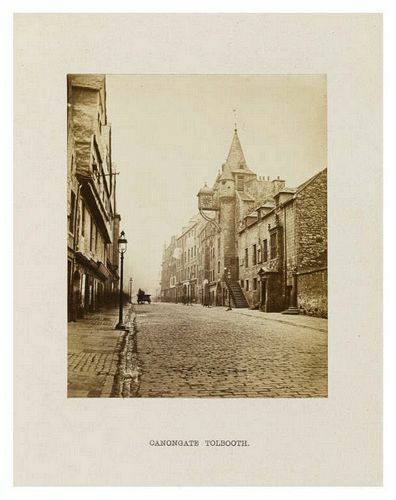 The Canongate Tolbooth has a large clock attached to the upper levels of the building and the roof ends in a spire. A stone staircase leads to a doorway in the building.